Vaccinations and Immunisations - including seasonal flu and travel requirements. Please complete your travel forms as soon as possible, ideally 8 to 12 weeks before travelling. 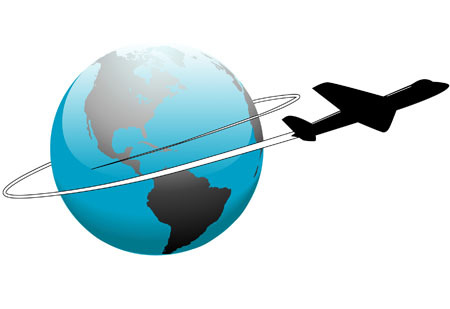 Travel Form (PDF) or Travel Form (Word Document). You can either e-mail (reception@gp-j81616.nhs.uk) fax (01305 848061), post or return your completed form to us. Please allow 7 days for the Travel Nurse to assess the information supplied and then telephone the surgery to arrange an appointment. Please be advised that we are unable to accept any travel forms with less than 8 weeks notice to your travel date. If you find yourself in this situation, then we advise you to seek advice from an alternative travel clinic such as Boots (visit their website), Wimborne Travel Clinic , CityDoc or Masta Travel Health. At your appointment our Nurse will advise you on the immunisations you require and arrange a schedule for carrying these out. Please note that advice for malaria changes from time to time, so please visit this website so that you can keep up to date with the latest advice: Fit for Travel. Puddletown Surgery is also a Yellow Fever Centre. The National Travel Health Network website enables you to search for other local Yellow Fever Centres, which include Fordington Surgery, Boots in Dorchester, CityDoc Clinic in Dorchester and clinics in Weymouth, Bridport, Sherborne and Sturminster Newton. If you wish to access our service here, please first read this information leaflet here and then download this Yellow Fever Questionnaire. When completed, please fax, email, post or bring in to the surgery. Once signed off by our doctors, we will telephone you to arrange an appointment. Please note that the fee for a Yellow Fever vaccination is £60 and that we need payment before we order the vaccines. We also require four weeks before you travel. Our Health Visitor, Chloe Morley, provides support to parents and carers for children from birth to starting school. Chloe is notified as soon as pregnancy is confirmed and visits the expectant mother at around 32 weeks gestation, providing advice and support. After your baby is born Chloe will visit you at home several times in the first few weeks. You can then attend clinic or request visits for ongoing support. An 8-week postnatal mother and baby check will be arranged with your GP and initial immunisations can be given (see below). with you, assessing your child’s development. Development assessments are offered at 6- 8 weeks, 4 months, 7-9 months and 2 years 3 months. Chloe may be contacted by phone on 01305 848333. Baby Clinics are held on the first and third Thursday of each month between 9.30 and 11.00 am. There are 15 minute appointments available to book. Should the parent/carer consider they need longer time than this, they may call and arrange either a home visit or another time at the surgery. Please see the schedule for child immunisations. If you have any questions or concerns about your child having immunisations, please contact the Health Visitor or Practice Nurses. Puddletown Baby Group meets on Thursdays at 1.30pm for one hour and include relevant talks, music and activities to support early parenting. The Group is run by Chloe, our Health Visitor. If you are eligible for NHS Chiropody, you may receive this in the Practice. Normally you will be referred to the Chiropodist by a member of the Primary Health Care Team; Doctor or Nurse. Our CAB adviser, Gill King, is available every Monday morning to see clients either in the Surgery or at a Home Visit for those not able to get into the Surgery. Simply ask our Receptionists for an appointment. regardless of race, gender, sexuality, age, nationality, disability or religion. The service is available to every patient of the Practice. Every Citizens Advice Bureau is a registered charity reliant on funds to provide these vital services for local communities. exercise a responsible influence on the development of social policies and services both locally and nationally. Continence and prolapse problems are very common, but often men and women do not take steps to resolve these problems, assuming nothing can be done. In fact very good results are achieved by following an appropriate treatment regime. We can offer you access to assessment, advice and instruction to rectify these problems. If you feel that you have problems with incontinence, just take a minute to answer the following self-assessment questions. If it's obvious from your answers to the above questions that you have a continence/prolapse problem and that you'd like to do something about the situation, please arrange to see one of our Nurses, who will give you some information leaflets about what to do about your problem. If you feel Counselling might be of help to you it will be necessary for you first to see a Doctor who can refer you to a Counsellor. Physiotherapy is a non-invasive treatment for musculo-skeletal problems and soft tissue injuries. Headaches, back and neck pain, frozen shoulders and knee problems are just a few of the conditions dealt with by our Physiotherapist. He provides hands-on treatment and advice on exercise and posture to alleviate the problem. The Doctors may recommend a course of Physiotherapy which will vary between one and six sessions, you will be referred to Dorset County Hospital for this.